How to unlock HTC Legend by code ? Unlocking HTC Legend by code is the easiest and fastest way to make your device network free. It doesn't interfere in your system or change it in any way so even after using our code, you don't loose your warranty. In order to receive a network unlock code for your HTC Legend you need to provide IMEI number (15 digits unique number). It can be found by dialing *#06# as a phone number, as well as by checking in the phone settings of your device. 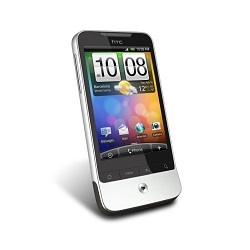 Please make sure that your HTC Legend asks for an unlock code, when you insert a simcard from a different network. We are also proud to announce that the unlock for your HTC Legend code will be delivered in 15 minutes, or even less. All new HTC Legend coming from T-Mobile USA or Metro Pcs USA with "Device Unlock App" can be unlocked by a Device Unlock App service. Excellent service, fair price and received code immediately - would definitely use again if need to. Unlocking instruction for HTC Legend ? 1. Start the device with an different simcard inserted (simcard from a different network than the one that works in your HTC Legend). Please copy all important data from your HTC Legend before you try a factory reset, because they will get deleted in the process. Can you unlock htc Legend for free? You can find many free HTC code generatores for your HTC Legend on the web. Code for HTC Legend is based on the IMEI number. Très bon site, code IMEI reçu en 10 mn et qui fonctionne parfaitement. Worked fine, I got the code within 15 mn as expected and it worked. Lo compré y funcionó. Rápido y eficaz. Bardzo szybkie ustalenie kodu, czas oczekiwania ok. 6min. Kod dzia³a. Jestem zadowolony z tej us³ugi. very fast unlockservice. unlock code was 100% ok.
Komentarz zbêdny. Wszystko odby³o siê jak by³o umówione. Zap³aci³em i dosta³em kod odblokowuj±cy, który zadzia³a³. Nie mam simlocka. Dziêkujê za wspó³pracê. na kod czekalem dwa dni bo byly swieta ale spoko , wszystko dziala poprawnie , dobry serwis , porzadnie to jest napisane i zrobione , polecam .